The United States said Friday it was withdrawing from the landmark Cold War INF missile treaty with Russia, saying Moscow was in violation. Ahead of a deadline set by Washington, the United States said that Russia had not addressed concerns over a new medium-range missile system that Western states believe goes against the 1987 Intermediate-Range Nuclear Forces Treaty. Effective Saturday, "the United States will suspend its obligations under the INF Treaty and begin the process of withdrawing from the INF Treaty, which will be completed in six months unless Russia comes back into compliance by destroying all of its violating missiles, launchers and associated equipment," President Donald Trump said in a statement. "The United States has fully adhered to the INF Treaty for more than 30 years, but we will not remain constrained by its terms while Russia misrepresents its actions," Trump said. 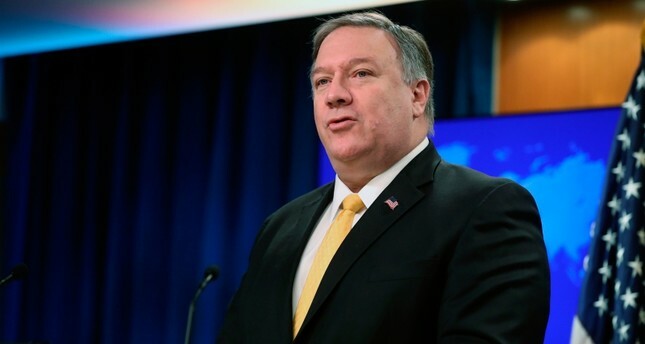 Secretary of State Mike Pompeo, announcing the decision at a news conference, said that Washington still wanted to engage in arms control negotiations with Russia and hoped Moscow would come into compliance. "The United States is hopeful that we can put our relationship with Russia back on better footing, but the onus is on Russia to change course from a pattern of destabilizing activity, not just on this issue but on many others as well," Pompeo said. U.S. officials also have expressed concern that China, which isn't part of the treaty, is deploying large numbers of missiles in Asia that the U.S. can't counter because it's bound by the treaty. The U.S. has accused Russia of violating the deal and last year indicating it would pull out by early February, unless Moscow fell back into compliance. The INF treaty between the United States and Russia, inked in the final years of the Soviet Union in 1987, bans ground-launched nuclear missiles with a range of between 500 and 5,500 kilometres. The Kremlin expressed regret over the planned U.S. move, saying Washington had been reluctant to engage in any serious talks to keep the pact alive.